This film has received mixed reviews of critics and audiences. On the one hand, the director of this movie is a talented woman named Kate Barker, which has done not bad melodramatic story of a girl whose brother went into an accident. On the other hand, the film came out a little clumsy in the plot. Judge for yourself: the main character played by Anne Hathaway, experience misfortune happened to her brother, in a little exaggerated way. She begins to look for ways to revive him from a coma, while choosing some strange options to do this: she walks through the city, visiting the places that her brother once visited; she gets acquainted with the world, where he lived. Once, on the concert of favorite band of her brother, she meets his idol, who helps her, and, as a sequence, they go into affair. The film is not called passionate – it is sufficiently measured, having carefully thought-through scenes. At least, from the point of view of the author. The acting is not bad, but it's all that can be said about it – a deep drama did not happen, but it hardly tried to be done really painful. It is rather a story of a girl, which is somewhat lazy, very sad, and not in a hurry for any adventure. Adventures find her selves – of course, it all go under the appropriate musical accompaniment. 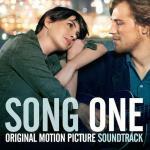 This soundtrack is quite good – as many as 15 songs, most of which made by Johnny Flynn. The album is opened with his song Bulb Went Black and ends with his product Silver Song. Incomparably beautiful Nina Simone with her My Baby Just Cares for Me should be noticed as particular iconic performer among the entire list. However, the "wealth" of the collection is shown only in the number of tracks – for a long time, there were no such monotonous songs in a row.